" Charge your HTC 10 at rapid speed with this Official HTC Wall Charger adapter. 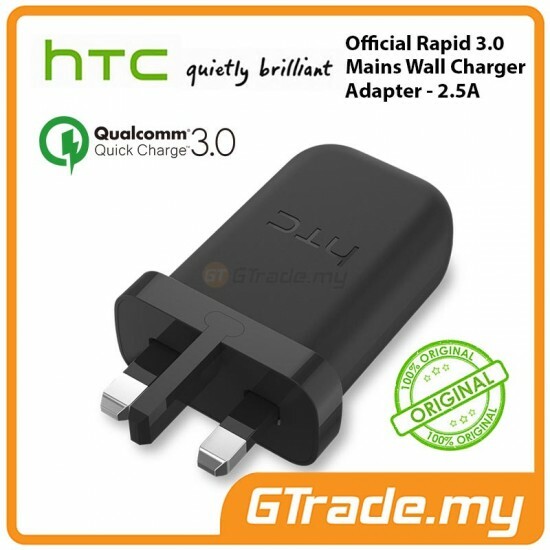 Featuring Qualcomm Quick Charge 3.0 technology, so you can charge your phone even faster. " 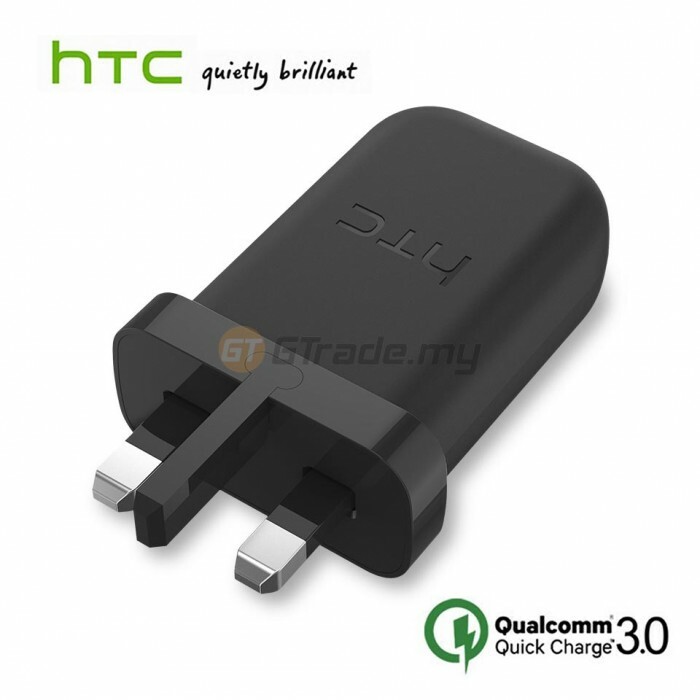 Qualcomm Quick Charge 3.0 technology, so you can charge your phone even faster. " Compatible with Quick Charge 3.0, recharge your HTC 10 even faster. Impressively this charger has the ability to charge your HTC 10 up to 50% within 30 mins, while it can fully charge your device up to four times faster. The HTC Rapid Charger 3.0 has been constructed using industry grade materials and premium circuitry which will insure a safe charge every time, protecting your device and property. This adapter has a very compact design that means that it'll easily fit in your travel bag or back pack. The new design is also 25% lighter meaning it is perfect for business trips and holidays.